Windows Phone is getting a couple of small updates by the end of this year before the presumably big Windows Phone 8.1 update lands. The first was called GDR1 (GDR stands for General Distribution Release), more commonly known as “Portico”, this update fixed quite a lot of niggles and added a couple of features as well. GDR2 is next in line, and comes preinstalled on some of the newer phones in the Lumia range, the Lumia 1020 and Lumia 625. It should be available on all other Windows Phones by mid August. The last update is slated to be GDR3, which is rumored to bring even more features and improvements, here’s what we know! Probably one of the most talked about additions is the upcoming full HD resolution support. Since Android flagships like the HTC One and Samsung Galaxy S4 are already rocking full HD panels, it’s only a matter of time before Windows Phone jumps on the bandwagon. Naturally, this also means that newer and more powerful SoCs will be supported. We’ve been hearing of a Nokia phablet since quite a while now and perhaps GDR3 is what was holding the Finns back. Currently, you can have 2 medium size tiles in a row because of the resolution limitation. With higher resolution screens as promised, you will now be able to squeeze in 3 medium tiles and 6 small tiles in a row. Basically, more customization. One of those little features that Windows Phones lack is the ability to lock your screen orientation. Landscape or portrait mode is dictated entirely by how you hold your phone, and you cannot stop it from changing orientation like Android. 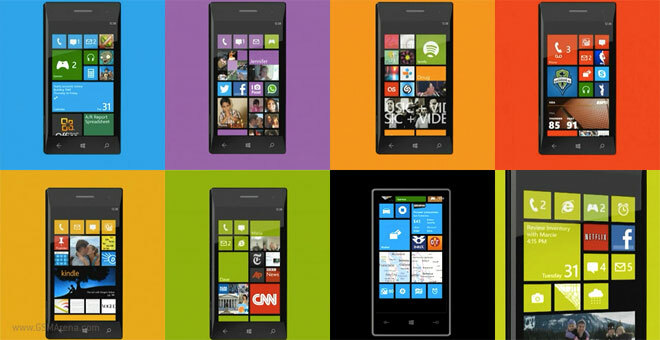 GDR3 will bring the much needed screen rotation lock to Windows Phones by the end of this year. A nifty new addition is driver mode, which automatically activates when your phone is connected via Bluetooth and lets you do things like accept or reject calls and auto reply to messages. The multitasking screen in Windows Phones only let you switch between apps, but you can’t really do anything about a hanged app. GDR3 might give you the ability to close apps from this screen, thus minimizing a lot of headaches because of unresponsive apps. This is one of the features that might not make the cut, but is of course welcome if it does. It will let you view text messages on your computer and online in addition to your phone, plus keep them synced across the three. So that’s what we know about the Windows Phone 8 GDR3 update till now, stay tuned for more features as they’re revealed!